Noida Authority Tests Advanced American Technology to clean Waste Water for reuse, trial starts today! In order to check water pollution and to make waste water usable, Noida Authority has procured an advanced technology from M/s Bio-cleaner, a US based company. 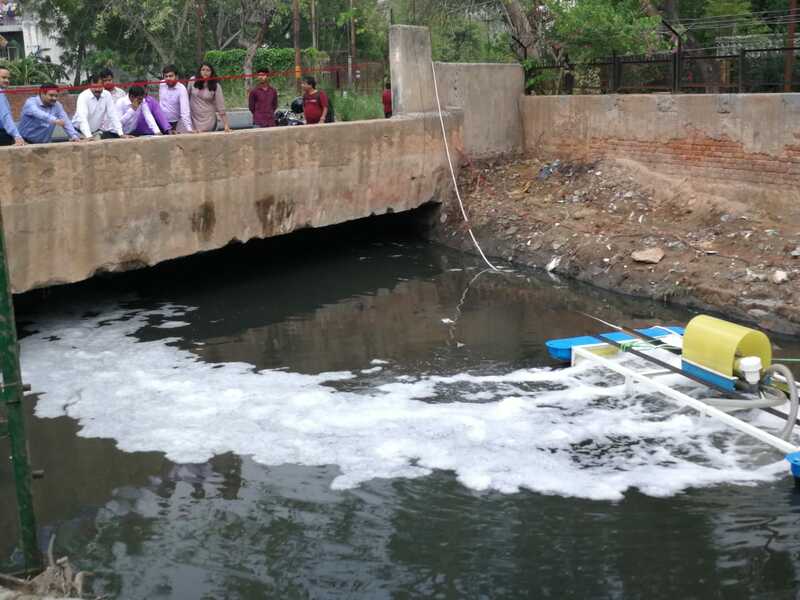 The company is providing solutions for waste water treatment using IMBR (Immobilized Microbe Bio-Reactor) & Aeration based technology, for cleaning of Raw Sewage, recyclable to be used for flushing, gardening, agriculture and released into river Yamuna. The firm Bio-cleaner has US green patented technology to treat all kinds of organic, inorganic waste including residential, commercial, industrial and municipal sector. Bio-cleaner can breakdown unwanted waste leaving no / minimum sludge at the fast rate with low carbon footprint. As of now Noida Authority has deployed the pilot free of cost and the trail of technology started today at sector 29 drain No.2. The technology and its impact will be discussed, evaluated and its commercial feasibility will be further judged after the trial. Malaysia Open: India’s PV Sindhu through to the semi-finals after 22-20, 21-19 win over Carolina Marin. DPMC Chief Sharmistha Mukherjee slams BJP and AAP over cutting of trees in Delhi!